The Gender Guidebook has been developed with two goals in mind Facilitate partners' understanding of gender issues, and, encourage and enable partners to integrate gender in their programme cycle. The guidebook will help partners to track their gender path. 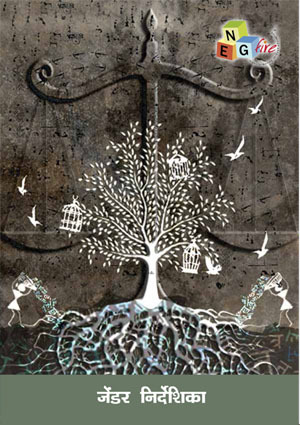 Also, developing this guidebook is concurrent with NEG-FIRE's larger vision to contribute towards fulfilment of the goals on education and development of children in India, within the frameworks of Integrated Child Development Services (ICDS) Scheme and the Right of Children to Free and Compulsory Education Act (RTE), 2009. 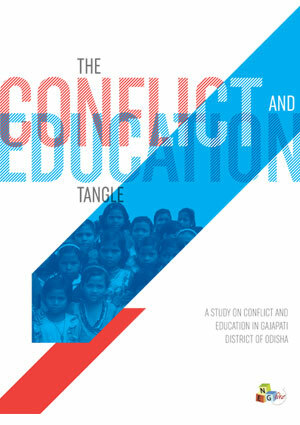 A Study on Conflict and Education in Gajapati District of Odisha - 'The Conflict and Education Tangle – A study on conflict and education in Gajapati district of Odisha' aims at highlighting the adverse effects that conflict (personal, societal or communal) can have on education and holistic development of children from marginalized communities and recommends measures to prevent this from occurring or mitigating the adverse effects already being caused. This report can be helpful for individuals and organisations working either in the Gajapati District or working towards providing education to the children from the marginalized communities. 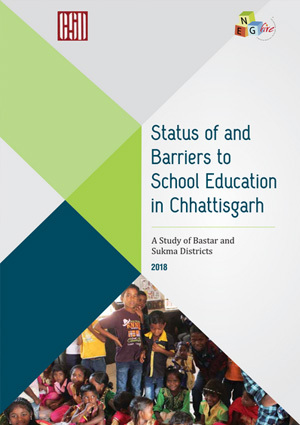 'Status of and Barriers to School Education in Chhattisgarh' presents indings from our research study on the status of and barriers to children's education in Chhattisgarh, a mineral resource rich State with high concentration of tribal population. The education scenario in the State lacks proper educational set-up amidst high incidence of poverty, backwardness, and conflict. 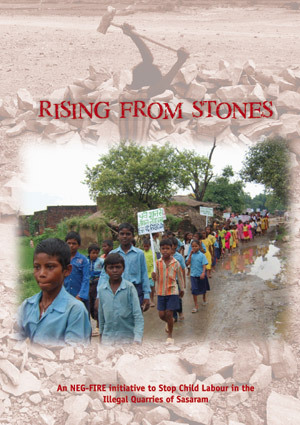 New Education Group – Foundation for Innovation and Research in Education (NEG-FIRE) in partnership with Rohtas Educational and Associated Programmes (REAP) has been engaged in eradication of child labourers working in 10 stone quarries of Sasaram block, Bihar, since the year 2008-09. This report documents the intervention, its outcome and impact and is based on desk reviews of documents and materials, field visits and discussions with stakeholders and project implementation personnel. This report presents findings and analyses from a research study commissioned by NEG-FIRE to identify the opportunities and challenges to education faced by the Nomadic Tribes and Denotified Tribes in the State of Maharashtra. Focusing particularly on the nomadic mendicants and entertainers found in the Latur and Solapur districts, it draws upon their socio-economic status, livelihood choices, migration patterns, awareness levels and attitudes towards education, in order to lay the foundation for a comprehensive intervention aimed at improving the educational attainments of their children. The report highlights essential elements related to secondary education in 3 blocks in Maharajganj in Uttar Pradesh, India, through a gender outlook. Considering that secondary education holds immense potential to contribute to a community and the country's economic growth, it becomes imperative for both girls and boys to have access to secondary education and thus be instrumental to the sustainable development of their community and the country at large. NEG-FIRE's Cultural Expressions Programme is an effort towards creating a holistic educational environment for the children of the marginalised Savara and Jatapu tribes of Vizianagaram District in Andhra Pradesh. 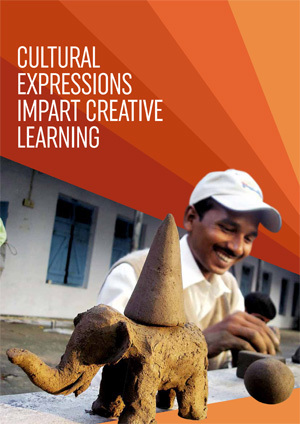 The learning materials and methodology for the programme are developed through community participation by bringing in the traditional knowledge of art, craft, music and dance.This report showcases the approach, key elements, objectives and the achievements of the programme so that it can be understood in a new perspective and be replicated, elsewhere. Edu-leadership Programme of NEG-FIRE is developed and implemented with the understanding that for educating the children from the marginalised and excluded communities and regions, community leaders are the only source that can influence and encourage community through educational facilities available and, thus, transform the community in a sustainable manner. This report on Edu-leadership Programme is an attempt to capture the key elements of the intervention and document how this strategy has evolved and been integrated into various programmes. 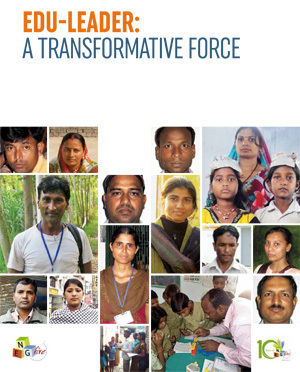 With active participation and support of state governments, linguistic departments, local NGOs, National MLE Consultant Support Group and tribal communities, NEG-FIRE has developed and designed MT-Based MLE materials in 12 tribal languages for communities living in 7 states of Bihar, Jharkhand, Andhra Pradesh, Uttar Pradesh, Odisha, Madhya Pradesh and Chhattisgarh for Class I to III.This report specifically examines the effectiveness of the MT-Based MLE intervention of NEG-FIRE in 30 pilot schools in Dindori and Mandla districts of Madhya Pradesh. Ensuring quality education for marginalized children through building a transformative Force.